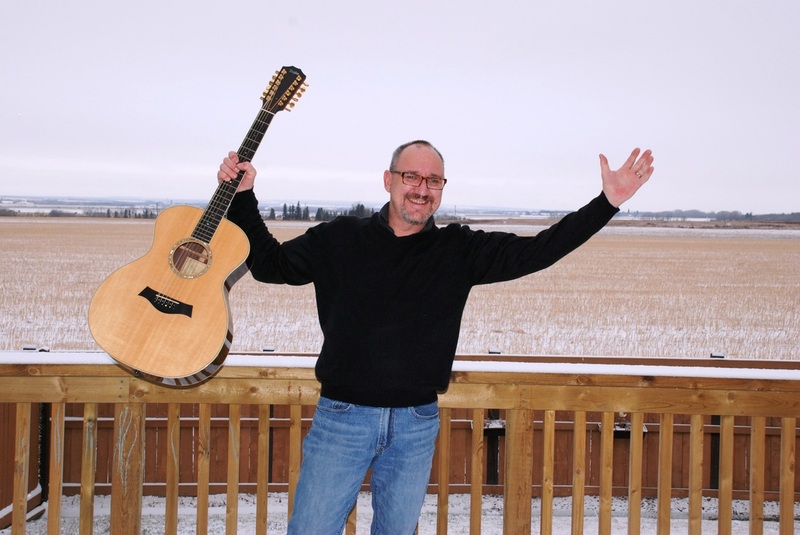 Mark McGarrigle has been performing in the Alberta Pub scene for many years. He is one of the few local artists that has the repertoire truly considered PUB style material. Born and Raised in Ireland - and coming from a musical background - he truly has some of the traditional Irish pub tunes mixed with some pop and old favs for your event. Mark can also work as a duo. He plays guitar with sequencing and Traditional Irish Whistles. 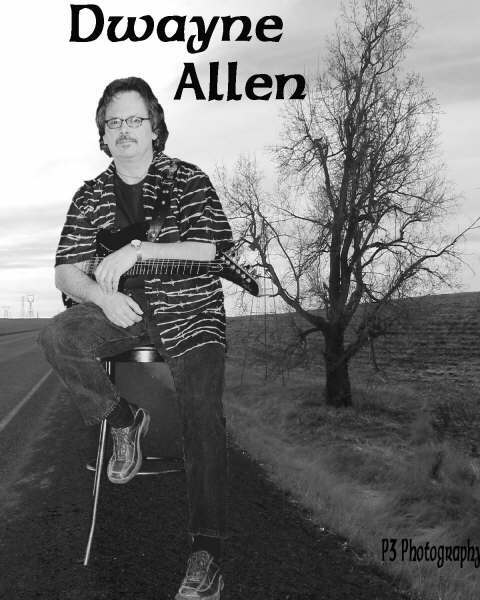 Mark continues to play in almost every Edmonton and surrounding 'authentic' pub venues. Awesome vocals, contemporary repertoire mixed with classic standards. No country. Stuart plays accoustic guitar with no technology backing him up. Stuart has built a strong reputation on pure talent. Stuart has several projects he is involved in to include, a 2 guitar duo called The Salesmen with Drew Hazlett who also lends his fine vocals and excellent guitar playing plus a rock band called Maple Tea. 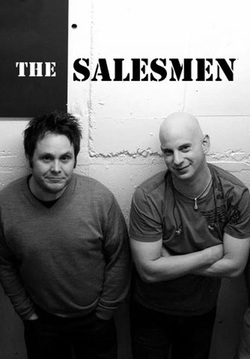 You can find more information on the duo and view video of The Salesmen under the duo category. For Information on the band plus repertoire list on Maple Tea _ please refer to the Band category. The Salesmen are 2 talented guys with 2 guitars. While this is an accoustic duo without all of the backing tracks , the vocals are strong and they are uniquely contemporary. Their repertoire includes popular songs by TOTO, Brian Adams, Bon Jovi, Dire Straights, The Police, The Beatles and U2 just to name a few acts. if you are looking for something contemporary, pure talent without all the high tech toys, then THE SALESMEN maybe just what you are looking for. Dwayne has been entertaining professionally for for over 40 years. He is both a guitar and keyboard payer. He has played with a variety of bands, duos and also worked as a solo. He has represented the City of Edmonton every year with "the Spirit of Edmonton's" entertainment group. Dwyane has experienced opening shows for bands like Chilliwack, Downshild Blues Band, 3 Dog Night and has appeared on CTV and CBC for different variety shows. His longevity can be attributed to his wide variety of musical repertoire and vocal representation, while still making his show unique, keeping a crowd interested in the different selections of songs without sounding repetative and he has the abilitiy to change material nightly due to his HUGE repertoire. 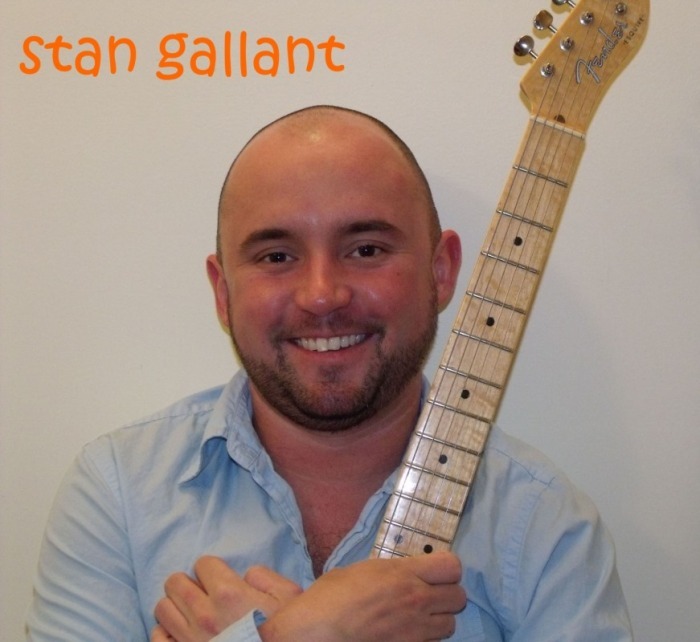 Stan Gallant is from Eastern Canada. His repertoire consists of the most popular tunes by such artists as: The Beatles, Eric Clapton, The Rolling Stones, Jon Bon Jovi, John Fogerty, John Cougar, Bare Naken Ladies, and on and on.....Being from the East Coast of Canada, Stan also has some 'pub' content in his repertiore of songs for special events such as PUB night. 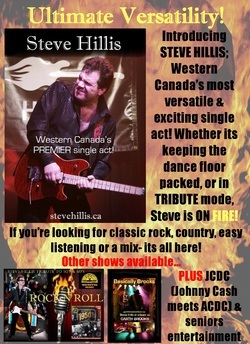 Steve Hillis plays all genres of music. From country, to old rock and classic rock during a regular night performance. Steve can also be requested as a tribute to Garth Brooks _ aside from his regular show. A fee applies different from a regular booking.